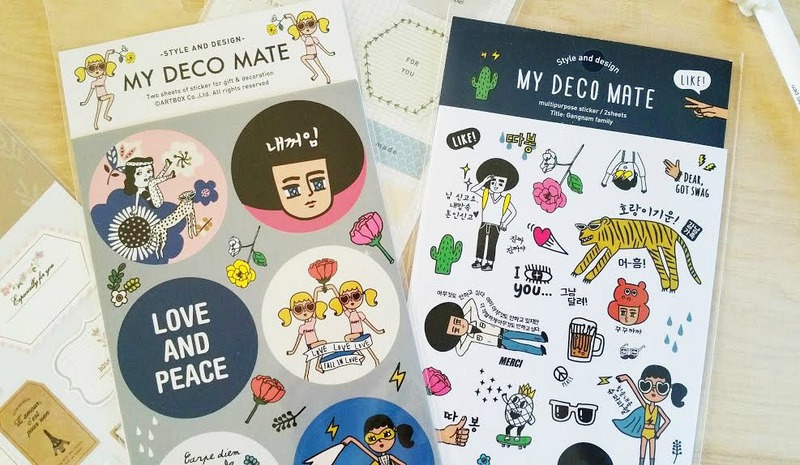 When I was in Korea during my summer vacation, I stocked up on so many cute stickers and planner supplies. It's like I was in stationery heaven! 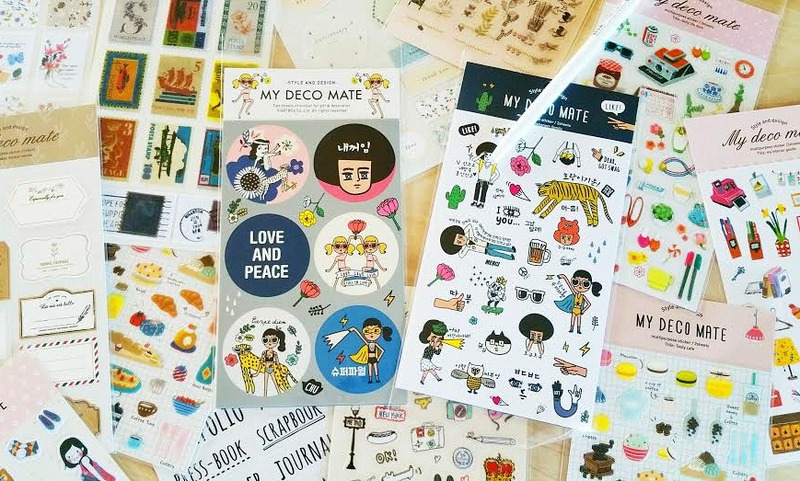 One of my favorite stationery stores in South Korea is Artbox, especially the one on Jeju Island. It's two stories high and packed with all the paper goods I could ever want. It was so hard to resist buying out the entire store, but I did manage to get out there with my wallet still intact. 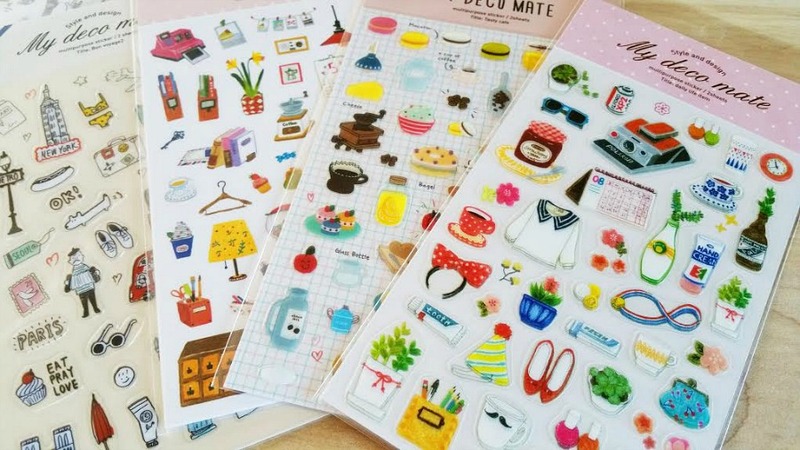 Just look at all of these adorable sticker designs.. Love, love, love!! 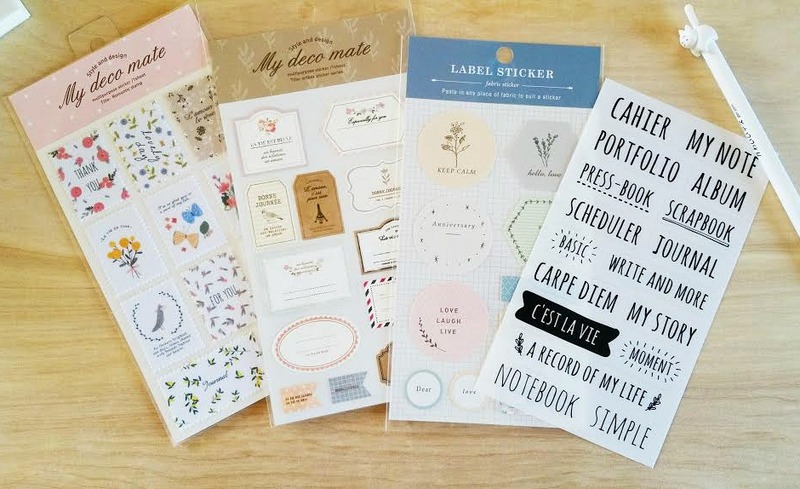 My favorite are the lifestyle stickers, and some of these were used right away and throughout the vacation within the travel journal. Umm, yeah. 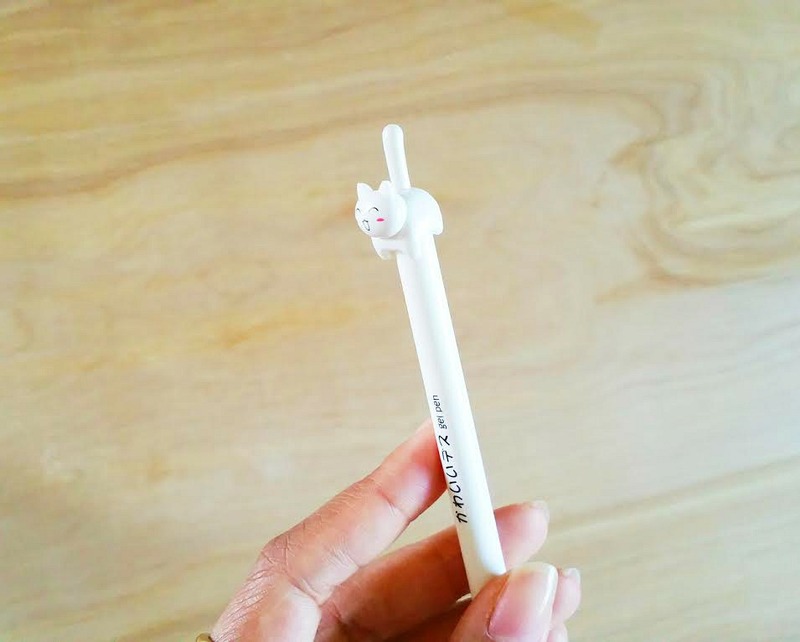 Had to get this cute kitty gel pen, too. I mean, would you have been able to resist? By the end of my trip, I think I had collected enough stickers to last until the next trip to Korea. Although, you can never have enough, in my opinion!